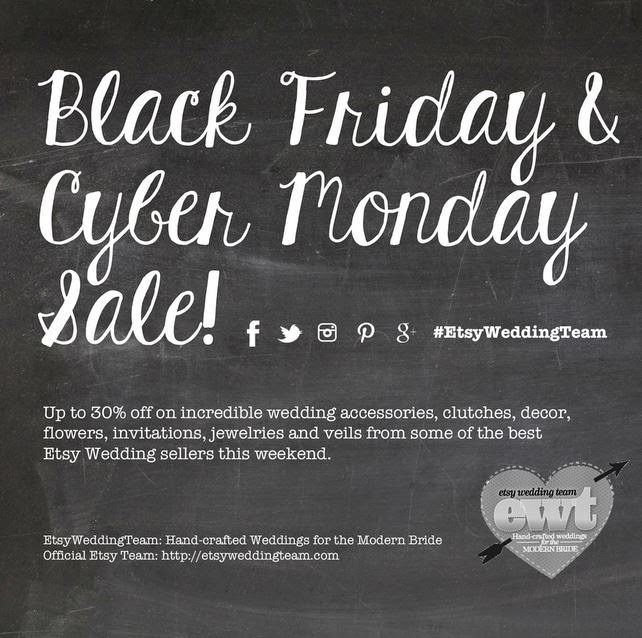 Save big on a variety of wedding items from the Etsy Wedding Team this weekend! Visit the team's blog for coupon codes valid in many of our members' shops, and use code HOLIDAY2014 to save 15% off any purchase in my own Etsy shop, now through Monday! I've been adding to my superhero collection, and am so excited to share the latest addition: Thor! Available both in satin and lace! Find them here and here! Interested in another superhero? 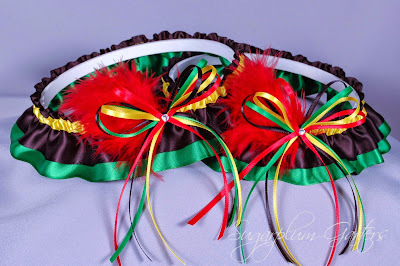 If you can't find it in my shop, let me know ~ I love custom requests! 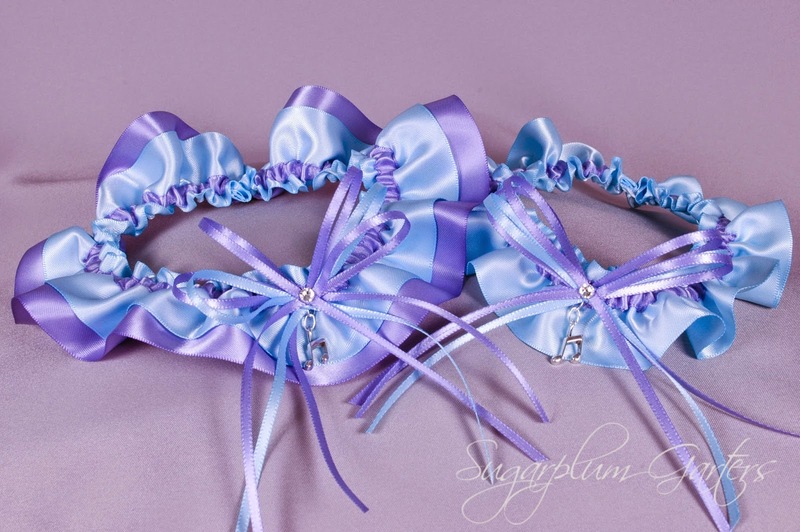 This fun wedding garter set was a custom request from an old, dear friend for her future sister-in-law, Meghan. 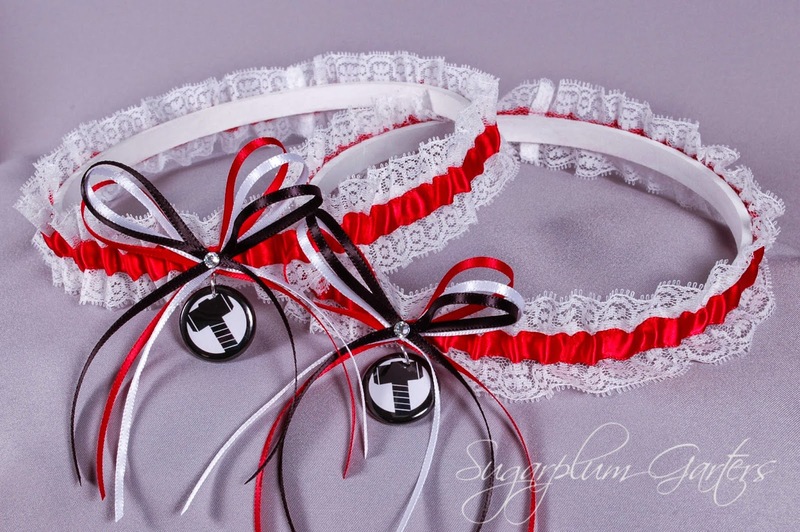 We chose to make the garters in the couple's wedding colors, and as both the bride and groom are music teachers, the music note charms were the perfect finishing touch!